From the outside, the Hamilton Arms looks every inch the quintessential Sussex country pub, complete with white walls, a tiled roof and a small flowery terrace, but inside it tells a very different story. 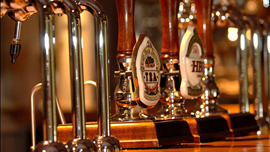 You can still order pints of real ale and pub grub (fish 'n' chips et. al) at the bar, but take a look at the dining room, and you'll realise that the real emphasis is far away from English soil. 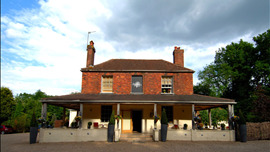 Carved elephants, elaborate panels, intricately fashioned low tables and exotic handicrafts should give you a clue: Thai food is the reason why people find their way to this backwater not far from Midhurst. The full menu in the Nava Thai Restaurant runs to some 80 dishes covering most accessible aspects of the cuisine from satays, soups and hot-and-sour salads to curries, stir fries and noodles. Check out ped tang (roast duck with a special sauce, pickle, ginger and cucumber) and khai luk kuey ('son-in-law's eggs', deep-fried and topped with crispy shallots). There's also a separate 20-dish menu for vegetarians. A short eclectic wine list suits the food admirably.